The start of a revolution in eBikes, a rethink of the interface between battery pack and frame—it has patents leaking from every seam. When we introduced it last year, the Nitro gathered praise from all angles. This year it’s back, bringing with it refinements to software and hardware—not to mention a 40% faster top speed—and ready to take your commute by storm again. A wide range, 2 × 10 speed drivetrain so you always have the perfect gear for any type of terrain. Dial-in front suspension system neutralizes the bumps for a comfortable and smooth ride, regardless of the road ahead. The high capacity, lithium-ion battery with its in-frame, easily removable seat tube design allows smart charging plus regenerative technology. It disappears under you when you are riding, with ideal placement for perfect balance. The strength to handle the city streets with a function designed alloy frame, and fat-tire, heavy-duty wheelset. 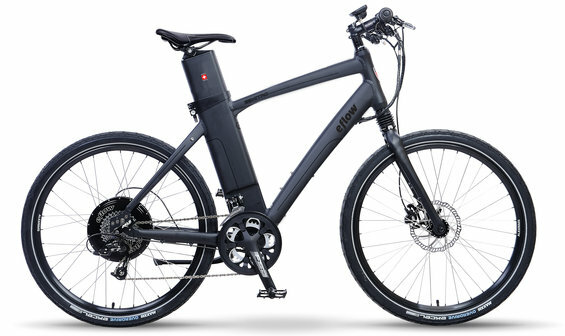 City Kit options include rear rack, full fenders and front and rear lighting system, controlled right on the LCD display. Do you have a preference for high top speeds or high torque? You get to choose the 500 watt drive system that best matches your needs. High-torque or high-speed gearless 500W motor options available. Accessories Kickstand, optional city kit with fenders, rack, lighting system.